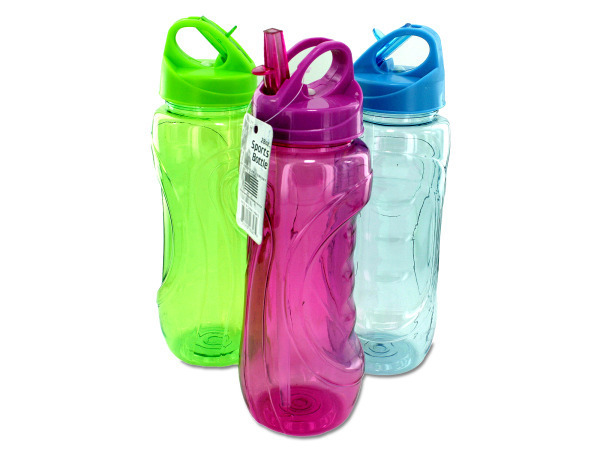 Keep hydrated with this 28-ounce Sports Water Bottle featuring a durable plastic bottle in a contoured design for an easy grip and a straw that can flip open or closed to keep drinks fresh. 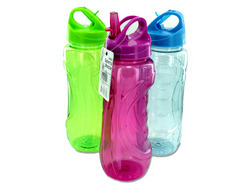 Bottle is great to have on hand while playing sports, hiking or during outdoor events. Measures approximately 9 3/4" tall with a diameter of 2 1/2". BPA FREE. Comes in assorted colors. Comes packaged with a hang tag.